New frame colors inspired by Texas! We’re are proud to live in our beautiful home state of Texas. Our model names are inspired by people that … Continue reading New frame colors inspired by Texas! 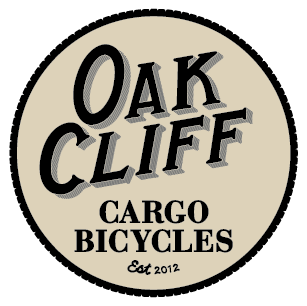 Exclusive: TOMS coffee now available on an Oak Cliff Cargo Bicycle! Today in Austin at the SXSW festivities, TOMS is rolling out a new One for One product selling coffee and … Continue reading Exclusive: TOMS coffee now available on an Oak Cliff Cargo Bicycle! We did a limited run on an OCCB logo, Gilden t-shirt that we’re currently selling for $15 (shipping not included … Continue reading Limited Edition T-Shirts for Sale!